GDN - Wikileaks founder Julian Assange has been arrested in the Ecuadorian embassy after seven years of asylum. The US accuse Assange, among other things, "conspiracy" and secret betrayal. The Wikileaks founder Julian Assange is accused of having worked with the whistleblower Chelsea Manning to crack a password on a computer network of the US government, according to the US Department of Justice (source CNN). At the invitation of the Ecuadorian ambassador, the British police entered the embassy and arrested Assange in the embassy building. Embassies are under special protection under international law. 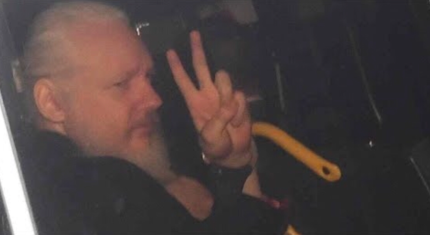 Assange was taken from the embassy by British plainclothes police (source: Sky News). Ecuadorian President Moreno has the Ministry of Communications broadcast a video on Twitter explaining why the president has suspended Assange's asylum status. Accordingly, Assange forfeited the asylum status granted because of rude and aggressive behavior. Assange is said to have made threatening and hostile statements to Ecuador and its president about Wikileaks. President Moreno continues in the video: Violations of international agreements have meant that Assange's asylum could no longer be upheld. As an example, President Moreno explains a January incident when Assange published internal Vatican documents. Assange has repeatedly received Wikileaks members in the Ecuadorian embassy. This proves the fact that Assange is still connected to the group. 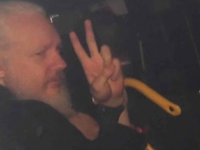 Annotation: But noteworthy is the fact that Moreno leaves unmentioned that Assange granted him asylum in his embassy, especially for the publication of secret documents of the US government. British Prime Minister Theresa May assures the world that Julian Assange will not be extradited to the US if he faces the death penalty. Assange wants to be a journalist who wanted to clarify grievances and possible crimes. This is certainly not honorable and belongs to the craft of a journalist. That is not reprehensible. But if a journalist gets information through theft and then offers it unfiltered to the world press, it has a dangerous dimension. In this case, Assange passes the journalistic red line. It is therefore important to determine where Assange was right and where wrong. Therefore, the judiciary is called to deal with Assange fair.